This is the second review I’ve done covering multiple yarns, this time from Windy Valley Muskox in Alaska. Windy Valley has several types of yarn, including Pima Cotton, Alpaca, Merino, Cashmere, Qiviut, and Qiviut blends. Most of the yarns available are expensive and run from $34.50 to $300.00 per ball while the cotton and wool yarns run from $6.50 to $25.50 per ball. That being said, if you get the chance to use any of the higher end yarns, you may just become addicted to how they feel and keep you extremely warm. All the yarns I was sent, excepting the cotton one, were the softest yarns I’ve ever had the pleasure of working with, were extremely lightweight and literally floated when worked in an open stitch. 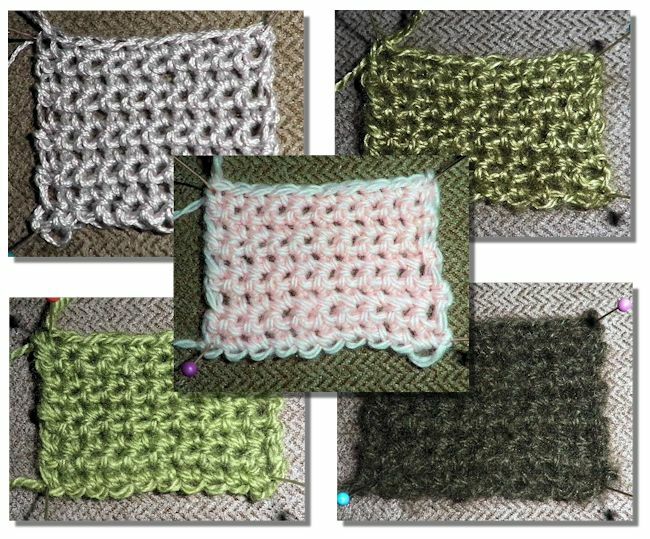 Well worth the cost for a luxurious crocheted or knitted piece. Qiviut Majestic Blend, 80% merino, 15% qiviut, 5% silk, lace weight, 218 yards per ball, $34.50 per ounce – Has a slightly loose twist with a slight halo which means it can be a little difficult to frog if tightly worked. Available in 18 colors. Qiviut Luxury Blend, 45% merino, 45% qiviut, 10% silk, lace weight, 218 yards per ball, $60.00 per ounce for classic colors, $63.00 per ounce for Cashmere/Copper blend – Has a slightly loose twist with more of a halo than the Majestic blend which makes it difficult to frog even when loosely worked. Be careful when working so you don’t make mistakes! Available in four Cashmere/Copper and 15 classic colors. Qiviut Royal Blend, 50% qiviut, 50% mulberry silk, lace weight, 218 yards per ball, $73.00 per ball – Has a slightly loose twist with a slight halo but was easier to frog than the Luxury blend. Available in 17 pastel and jewel tones. Peruvian Pima Cotton, 100% Peruvian Pima Cotton, lace weight/thread, 218 yards per ball, $6.50 per ball – A soft, smooth cotton with a nice, fairly tight twist and no halo. Works up quickly with no problems splitting. Available in 18 pastel colors. Australian Merino Wool, 100% Austrailian Merino Wool, 218 yards per ball, $11.00 per ball. A soft yarn with a very slight halo and slightly loose twist. Did not have any issues with splitting. Available in 13 pastel and jewel tones. 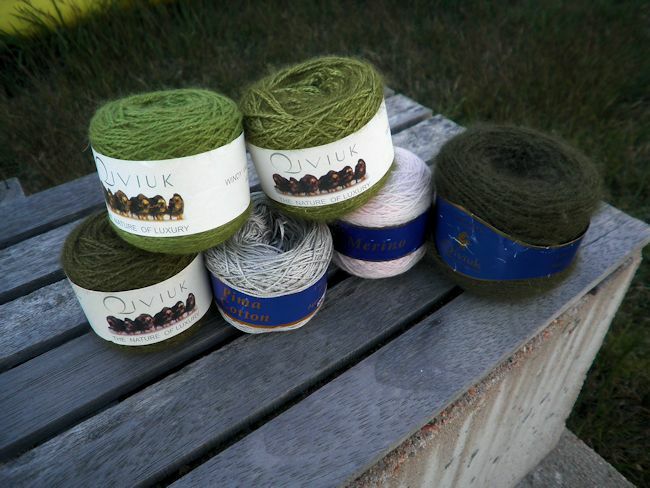 Pure Qiviut, 100% Qiviut, lace weight, 218 yards per ball, $98.00 per ball. While this yarn is considered lace weight, it’s at the thicker end of the lace spectrum with a larger halo than the blends. It is extremely soft and feels like it may just float off by itself. The halo means it can be difficult to frog, but it can be done if you’re careful. Available in 12 natural and jewel tones. Guanaco Blend, 40% guanaco, 40% merino wool, 20% silk, lace weight, 218 yards per ball, $100.00 per ball. Available in Natural. Pure Vicuna, 100% vicuna, lace weight, 214 yards per ball, $300.00 per ball. Available in Natural. Suri Alpaca, 100% alpaca, lace weight, 218 yards per ball, $25.50 per ball. Available in 27 pastel and jewel tones. Cashmere, 100% cashmere, 218 yards per ball, $24.00 per ball. Available n six classic colors. In conclusion, these yarns are luxurious, soft, warm, and easy to work with. A definite must have for any crocheter and knitter when you want the most luxurious yarn for that special project. Please check out the Windy Prairie Scarf pattern I designed especially for the Qiviut Luxury Blend Yarn. It literally floats behind you while still keeping you warm or just providing a slight barrier on cool Spring or Fall evenings.